Green Tea is well known for its many health-boosting properties, from fighting cancer to boosting longevity. There’s a long list and so we’ve decided to delve a little deeper and look at five surprising benefits you may not already know about! Recent research has shown promising results when looking at the potential of the antioxidant EGCG (found in green tea) and its potential to prevent, and even reverse, certain types of dementia including Alzheimer’s Disease. 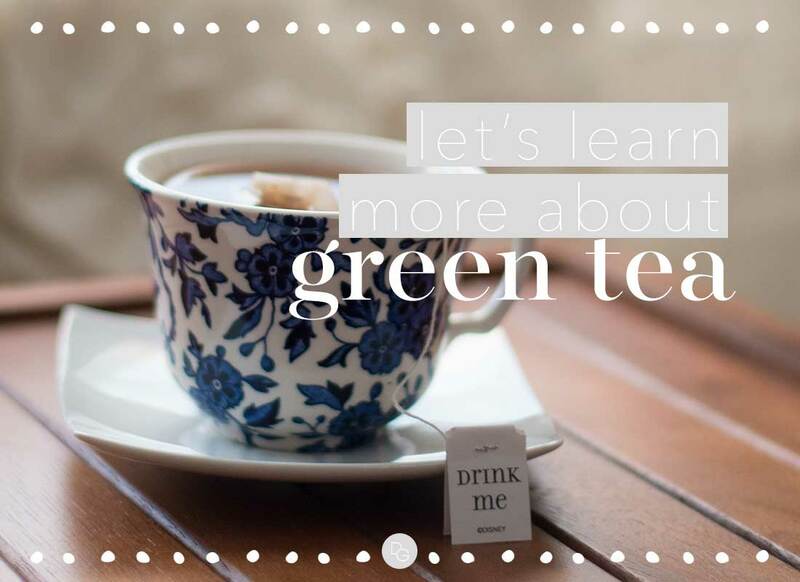 This is due partly to its anti-inflammatory properties, and partly to green tea’s ability to prevent the formation of the amyloid plaques that are associated with this disease. When combined with regular exercise and a healthy lifestyle, the green tea results are boosted even further — so drink up and get moving! This same magical combination of green tea and exercise is also your secret weapon in weight loss. Thermogenesis (a fancy term for fat burning) has been clinically proven to increase with the consumption of green tea. When you throw in some exercise, the results are even better. It’s also the perfect alternative to sugary drinks, and swapping just one can of soft drink for one cup green tea can save you over 30g of sugar and around 150 calories in one hit. There’s mounting clinical evidence to suggest that the bioactive components of green tea may act towards restoring the balance between bone reabsorption and formation, thus working to prevent osteoporosis. Gut health is big right now and there’s good reason for that. If the bacterial balance of your gut is out, then there’s room for disease to start to develop within the body. Gut health is all about balancing the bacteria in the gut. The polyphenols (antioxidants) in green tea works to increase the number of good bacteria in the gut, while inhibiting the growth of bad bacteria. This restoration of bacterial balance in turn leads to improved digestion and greater nutrient absorption, benefiting your entire body and effectively preventing disease. Type 2 Diabetes is a condition in which the levels of sugar in the blood are too high. It’s caused by a combination of genetic and environmental factors including high blood pressure, obesity, low physical activity and poor dietary choices. The good news is that the majority of cases are preventable. Healthy diet and exercise are great ways to work to prevent Type 2 Diabetes, and adding green tea to the mix only improves your chances. It turns out that the EGCG in green tea helps to sensitise cells so they are better able to metabolise sugar. One Japanese study in 2006 even demonstrated that people who drank up to six cups of green tea per day were 33% less likely to develop Type 2 Diabetes than people who consumed under one cup. Yes, we know not everyone is able (or willing!) to drink six cups of green tea each day, but we have a solution for that — green tea extract! If you’re too busy to brew pots of green tea each day perhaps green tea extract is your answer. It comes in handy sachets that dissolve instantly. This means there’s no brew time and the antioxidants are more concentrated, so you’ll need fewer cups for the same health benefits. You can even add a sachet to your water bottle and go. No time to waste – let’s get sipping! I’m a creativity addict who has built a happy life in the country town of Daylesford, Victoria. I have a family, a country home, an art business, and two tea companies (The Slow Tea Company and Green Tea in 3 ). We created a tea range that was based on a number of shared passions (tea, art, family, friendships and humour) and we’ve been twisting and changing this format constantly for the past five years to arrive at our current Slow Tea Company range.